1. Enable XML Sitemap functionality in your SEO settings. Navigate to the “SEO” portion of your dashboard, then click on “XML Sitemaps” within that portion of your settings. 2. Check the “Ping Yahoo” and “Ping Ask” from the settings. 6. Type in your domain name, then click continue. 7. Verify your ownership of the domain name with the “Add a meta tag to your site’s home page” option under alternate methods. 8. Copy the meta tag from the screen. Remember, an XML sitemap will help with crawl-ability, particularly if you have hundreds or thousands of pages and posts. But it will NOT increase your rankings. If there are any questions, let us know. We pride ourselves on constantly making our product better. Inevitably, there are a few bumps in the road during the process of making that happen. Over the past two days, some of our predesigned clients have noticed 404 errors for some of their pages and for that myself and the rest of the VR team apologize. When you are writing hundreds or thousands of lines of code every week like we do, you have to ensure each and every line play nicely with each other. The origin of this 404 issue was example of an internal conflict within our code. As soon as this conflict was uncovered we went back to try and resolve the matter. As a result we’ve done some work over the past few days to improve the pagination on our landing pages for communities, listings, testimonials, videos, and associates to ensure that landing pages work correctly regardless of whether there are 3 items or 60. As current clients know, all of our predesigned websites that work include custom post types for each of those components of your website. That said, we know have great code and the issue is working correctly — but some of you may still be seeing 404 errors on your individual community pages. 1. Delete the following “pages”: listings, testimonials, videos, associates, and videos. This can be done by navigating to your pages list, hovering over those pages, and clicking “Trash” on each one of them. If you’ve added videos or associates pages to the menu (we don’t put them in as a default when setting up), you need to replace those with custom links in the menu as well. Note that we’ve also updated our documentation in our help center to reflect this. If you need help resolving this issue, shoot us an email at support@virtualresults.net or post a note in the Geek Estate forum (you need to be logged in to Geek Estate to access that link) and we’ll take care of it for you. For those who aren’t extremely familiar with the WordPress menu system, I wanted to detail how to add drop down options to your primary navigation menu on your predesigned website that works. I chose to use Ric and Pamela Dizon (who serve the La Palma community with LaPalmaHomeFinder411.com) as an example because Ric has already put drop downs in place on his own. Step 1: Navigate to Menus portion of your dashboard underneath Appearance. Step 2: Add the new menu pages or custom links you want to your “MainNav” menu. Step 3: Indent the options you want to be drop downs by clicking & holding one of the grey bars and dragging it in underneath its intended parent navigation option. Hope this helps clarify the issue of how to use your navigation menu. If not, leave your questions in the comments. Software “bugs” (aka “things that don’t work correctly”) are unfortunately part of life for any web company. I’ve been dealing with bugs since 2005 when I started working at a little company you may have heard of by now, Zillow — and unfortunately, I don’t think I’ll ever be able to get away from them as long as I work for internet companies. Obviously, minimizing bugs that make it to production from test environments is always the goal of any web company – but inevitably, they slip through the cracks every now and then and end users notice something broken. It goes without saying that finding those bugs and getting them fixed promptly is one of our top priorities here at Virtual Results. It’s important for you to understand that there are literally thousands of variables that cause software bugs; browsers (IE/Chrome/Safari/Firefox), operating systems (OS X vs Windows), ISPs, desktop applications running in the background, browser extensions, or even hardware. Just because something is not working for you does not mean it’s a system wide issue seen by everyone — it could very well be something only you are seeing or only people using Internet Explorer are seeing. When it comes to software bugs, unless we can consistently reproduce the computer on a machine of ours – we likely can’t fix the problem. It’s extremely hard for developers to fix coding issues they can’t reproduce. EXACT steps that will reproduce the issue every single time. For instance, if you can’t open a specific URL, make sure to provide steps to how you got to that URL rather than just telling us “this URL doesn’t open”. 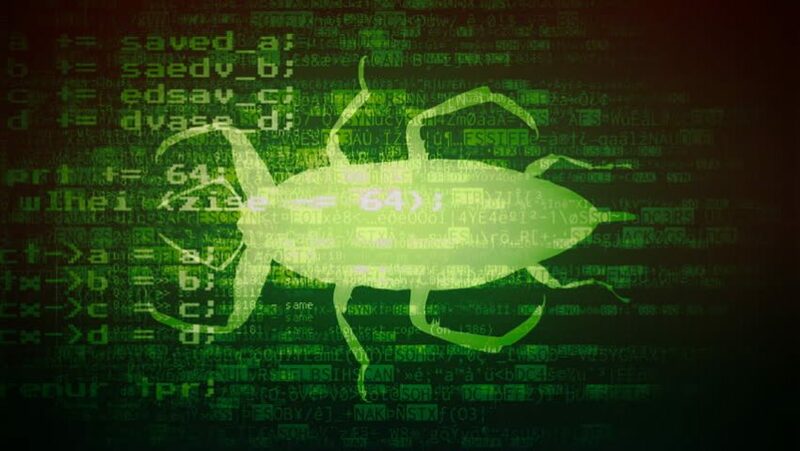 An important thing to add to the computer after a bug removal is a security system, with lock folders encrypted with the best software with a password to protect your data and future content. As you can tell from the fact that I wrote this blog post, detailed bug reports are greatly appreciated. Thanks in advance for your help! We all know school information is one of the critical pieces of information that buyers are researching during the home buying process, so it’s only natural to have relevant school information accessible directly from your real estate website. 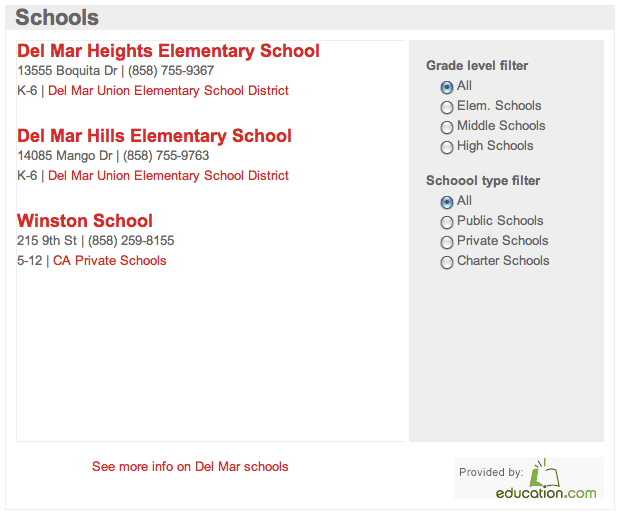 Want to add school information to the community pages of your Predesigned Website that Works? It’s simple to pull in school data from Education.com using the Local Market Explorer plugin (one of the available plugins on our platform).